Â Â Â Â Â Â Â Â Â Â Â In each generation of a family, there are successes and there are failures, heroes and villains, as well as the miscellaneous majority. Our family is no exception; one notable and unquestionable star of his generation was James Lawrence Urquhart. 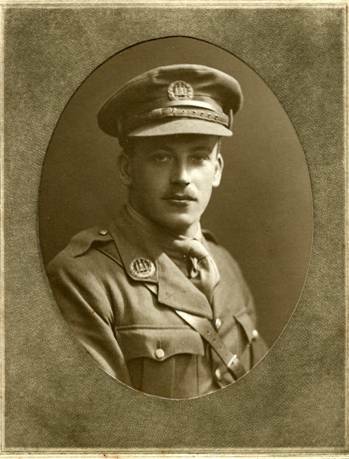 His many fine qualities and attributes have perhaps been especially appreciated by his siblings and their descendants because of his untimely death at the age of 26, in the First World War. Â Â Â Â Â Â Â Â Â Â Â James Lawrence Urquhart was born on the 18th of September 1889, the eighth child and second son of David and Helen Urquhart. The family were at that time living at 20 Fraser Street, New Clee, having moved south from Peterhead in Scotland in 1877. David, his Father, worked as a cooper and box-maker on the fish docks. The family subsequently established themselves at 240 Welholme Road, opposite Welholme Junior and SeniorÂ Boysâ€™ schools, which he attended until he transferred to the new Municipal College in Eleanor Street in August 1907. Â Â Â Â Â Â Â Â Â Â Â â€œUrquhart I., seconding Dale, said that an Arts training had a demoralising effect and made one lazy, while Science gave one something to do, think about and watchâ€�. Â Â Â Â Â Â Â Â Â Â Â Despite the support of Urquhart II, James was unsuccessful; the motion was carried by a majority of three. 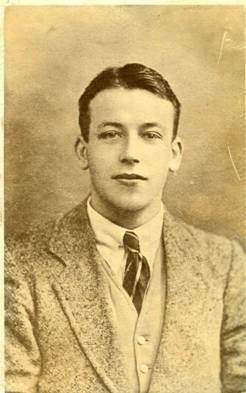 Â Â Â Â Â Â Â Â Â Â Â Although his sporting achievements at the Municipal College were impressive, it is for his academic successes that he should be remembered. In September 1909 he was awarded the King Edward VII University Scholarship of Â£70 per year, tenable for three years at an approved University. On the 10th October 1910, James was admitted to Emmanuel College Cambridge, the first member of the family to go to University. Â Â Â Â Â Â Â Â Â Â Â The same magazine also recorded his win in the 200 yards race in an athletics match against Queenâ€™s College. Â Â Â Â Â Â Â Â Â Â Â Â He also played centre for Grimsby Rovers in a key end of season decider against Cleethorpes. Â Â Â Â Â Â Â Â Â Â Â The Emmanuel College database also records that rowing became another of his sporting activities. He rowed in the 4th Lent Boat in 1912. This would have been in the â€œLent Bumpsâ€�, a four day inter-college competition for teams of eight, the object of which was to catch and â€œbumpâ€� the boat in front. Â Â Â Â Â Â Â Â Â Â Â At the end of his three years at Cambridge, James took his Bachelor of Arts in June 1913. He was placed in the second class of the Natural Sciences Tripos. He then became an Assistant Master at Northampton Grammar School. Â Â Â Â Â Â Â Â Â Â Â Who the letter was intended for or what became of it is not known. Possibly it may still be found in the newly re-discovered Red Cross Archives in Geneva. No body was ever recovered. His name is included amongst 20,000 officers and men with no known grave, on the Allied Memorial at Dud Corner, Loos-en-Gohelle, north-west of Lens. Â Â Â Â Â Â Â Â Â Â Â James Urquhart was a special person; the impact of his life and the manner of his death has influenced the family for nearly a century. His father always proudly wore the Emmanuel blazer; his brotherâ€™s two sons both followed him to the college. My Mother, his niece, often referred to him as â€œJames the Roseâ€�, meaning that he was the flower of the family. She also told me that in her last years, his Mother, Helen Urquhart, who had â€œkeenedâ€� like a Highland woman for a week when she heard the news of his death, was convinced that his spirit had returned and was with her at 240 Welholme Rd. James is referred to as Urquhart I., his younger brother, John (Jack), as Urquhart II. Quoted in letter from Amanda Goode, Emmanuel College Archivist, whose much appreciated help providing the information is here acknowledged. Amongst the casualties was Rudyard Kiplingâ€™s son, John. Translation of letter from Berlin 4th February 1916 in DUE Millerâ€™s possession. The initial T is easily confused with actual J. She must have heard the expression from her Mother or grandmother- â€œJames the Roseâ€� is an ancient Scottish ballad which must have been known to the family.